Juvenile hero and son of god, cruel conquerer and visionary emperor of the world. Disciplined soldier and eccentric man of pleasure, king of Macedonia, leader of the Greek, pharao of Egypt and ruler of Asia – Alexander the Great was the „superstar“ of the ancient world. He changed the course of history and stays until these days a controversial as well as an ideal character. 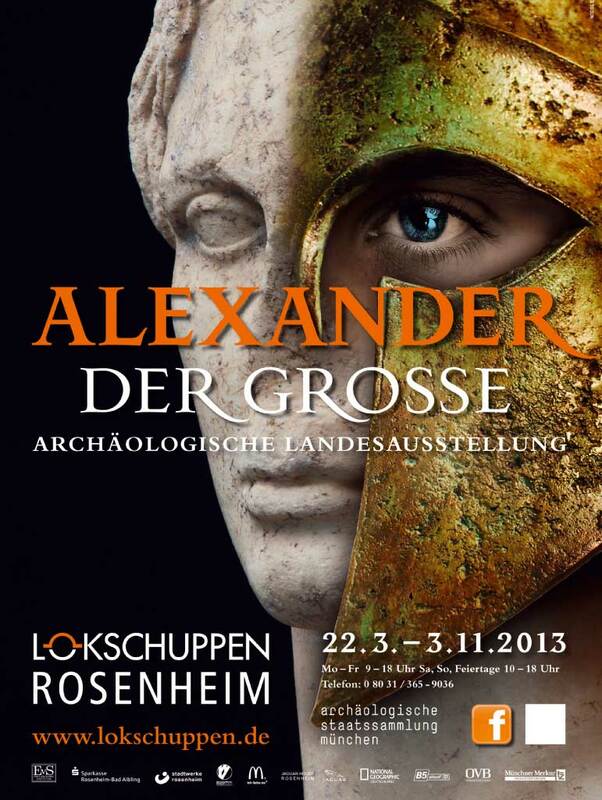 The exhibition Alexander the Great. National Archaeological Exhibition focuses on the biography of Alexander from his crib to his grave, where the historical data and sources are arranged along this guideline. Fascinating archaeological findings take the visitors on a journey through Alexander´ s outrageous conquest from Greece over Asia Minor, Egypt, Persia, and Babylonia to India, to “the end of the World”. Enormous battles, orgiastic festivities, stresses and strains, desperation, triumph and greave. The visitors will be accompanied by contemporary witnesses, friends and enemies of Alexander the Great.